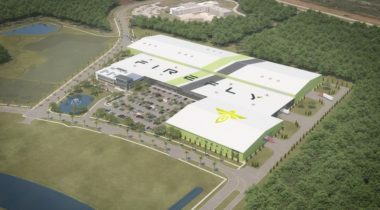 Firefly Aerospace announced agreements with state and federal agencies Feb. 22 to build a new factory for producing and launching its rockets from Florida’s Space Coast. 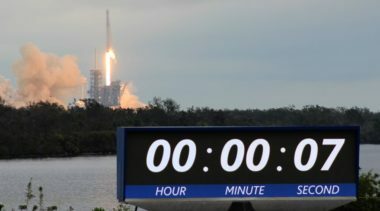 Relativity, the startup developing a small launch vehicle using additive manufacturing technologies, announced Jan. 17 it has won approval from the U.S. Air Force to build a launch site at Cape Canaveral. 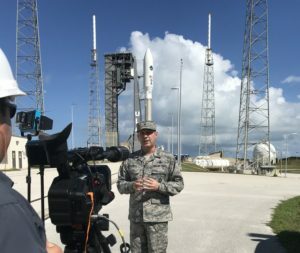 The U.S. Air Force has decided not go ahead with a proposal to support two launches from the Eastern Range in less than 24 hours this week, but officials say being able to do so remains a goal as part of efforts to support increased launch activity. 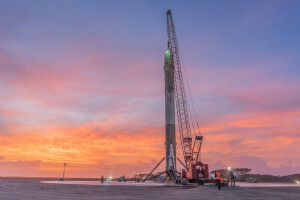 More than a year after suffering significant damage in a Falcon 9 explosion, a Florida launch pad is ready to return to service, incorporating improvements that will allow a higher flight rate. 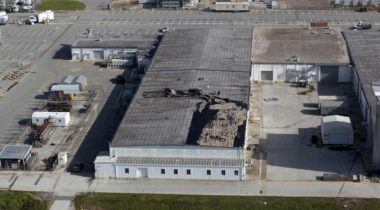 NASA’s Kennedy Space Center will remain closed through at least Sept. 14 as teams continue to evaluate damage there caused by Hurricane Irma. 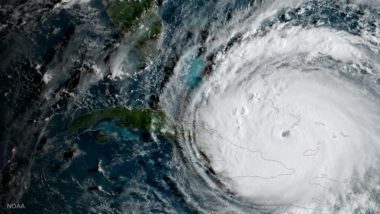 NASA and companies that operate launch sites and other facilities at Cape Canaveral are preparing for the arrival of a powerful hurricane that has already postponed one launch on the other side of the country. 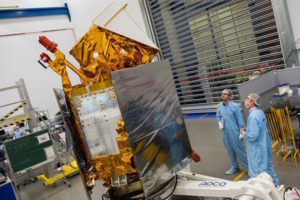 Greg Clark, business secretary in the British government, said this week that "we want our companies and universities to continue participating in key EU space programs" such as Copernicus. 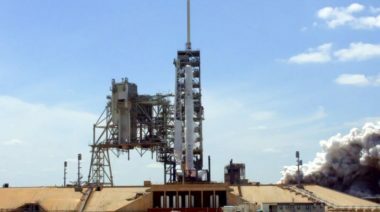 Space Launch Complex 40 was damaged last September when a Falcon 9 exploded during preparations for a static fire test. 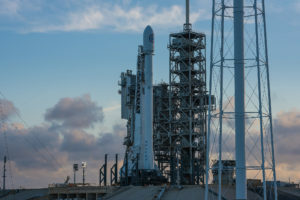 The Falcon 9 will send a Dragon cargo spacecraft to the International Space Station, with the first stage landing at Cape Canaveral's Landing Zone 1. 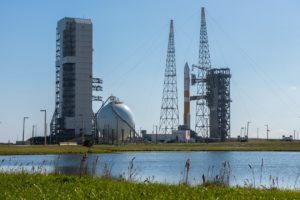 An issue with a first stage sensor delayed launch of NROL-76. 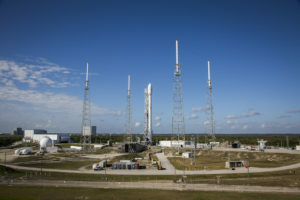 The launch will be the first to use a previously flown first stage, in this case a stage that launched a Dragon cargo spacecraft last April. 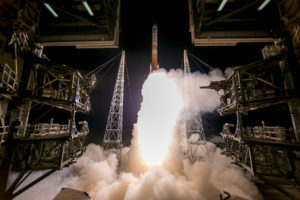 The Delta 4 carrying the Wideband Global Satcom 9 satellite lifted off at 8:18 EDT. 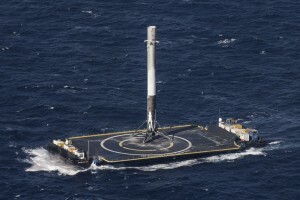 The company's insurance went from $13 million to $63 million in liability coverage. 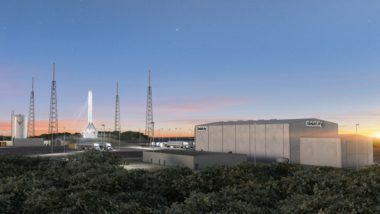 Most launch ranges aren’t equipped to handle reusable rockets, space experts said, despite the technology being widely viewed as a key to reducing launch costs. 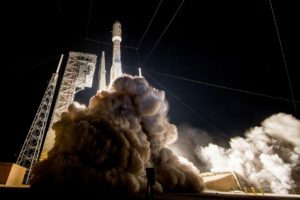 The launch was scheduled for March 8, carrying WGS-9, the Air Force’s next Wideband Global Satcom satellite.